The Kingpin will be making a big return in Daredevil season 3, and some new concept art shows what could be if the show adopts his comic style look. Vincent D'Onofrio's take on the character has been just about perfect, and he certainly looks the part with his impeccable style, which includes a variety of tailored suits, vests, and ties. That happens to also be the look Wilson Fisk adopts in the comics, but there he's more prone to one particular color, and this concept art by James Holland shows how that could look onscreen. Holland created two looks, the first of which shows Kingpin's all-white suit with black shirt and grey tie. This ensemble has shown up through the years on a variety of occasions and is pretty close to what he wears on the show, sans bright white jacket and pants of course. 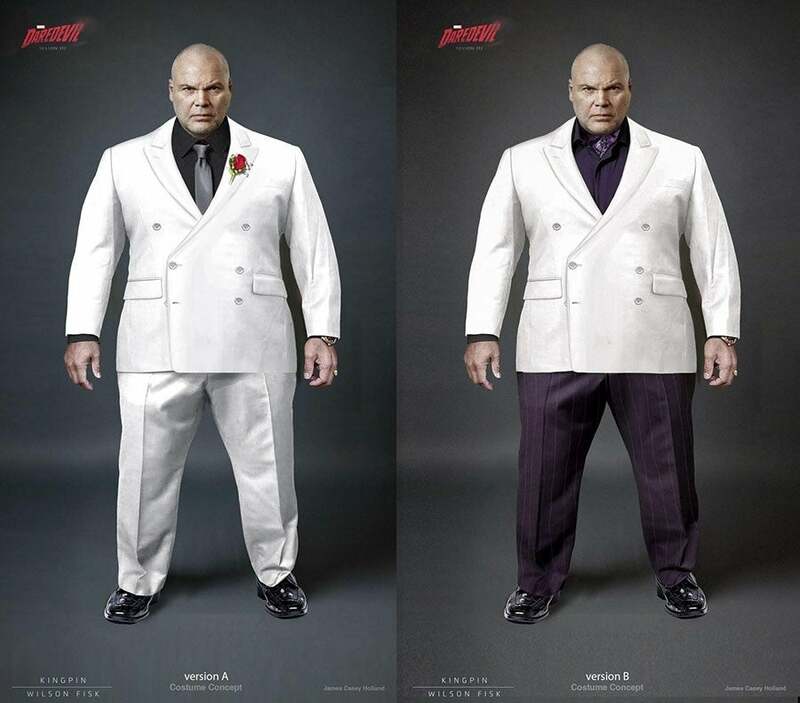 Kingpin isn't prone to wearing much white on Daredevil, though it isn't really known if that is for a particular reason or just coincidence. He's also stayed away from combining the white suit with shades of purple, which leads us to look #2. The second look is the one more fans will recognize, as it is has been used constantly in the comics. The white suit is paired with purple pants and a purple shirt and makes the villain pop more on the page. The show's darker tone might have had a hand in shying away from this look, but now that D'Onofrio has had a chance to nail down the character sufficiently, Marvel shouldn't be afraid to embrace it. You can find the image above, and you can find more from James Holland here. 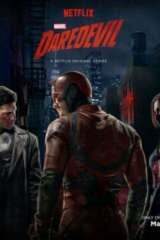 Daredevil currently holds a 92.55 on ComicBook.com's composite rankings, which you can vote in here. The show holds a 4.26 out of 5 from 2235 users, placing it at the #3 spot in the TV show rankings, with only Game of Thrones (#2) and Stranger Things (#1) in front of it. Daredevil will return for season 3 later this year, but no release date has been announced.